Everglades swamp tours in Fort Lauderdale Florida is a great way to see the sub tropical wetland of Florida. Located in Florida near Fort Lauderdale. Everglades or Swamp as it is called by tourist, flows south from West Palm Beach To Miami. Fort Lauderdale is a popular spot to visit although visitors are unaware of how close they are to the Everglades. This is where visitors can get a closer look at the Everglades wildlife. The Everglades has been around for thousands of years, and has a rich native american culture . An Everglades swamp tour is one of the top attractions in Fort Lauderdale. 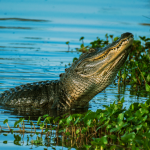 Fort Lauderdale airboat rides provides private swamp tours, as well as private airboat tours daily. Join us today for an advenute, as well as one of the best boat tours in Fort Lauderdale Florida. It is Fun for the entire family, couples or corporate groups. 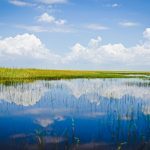 The native Americans named the everglades Okeechobee meaning “river of grass” and the everglades is exactly that. It is classified as one of the widest rivers in the world. 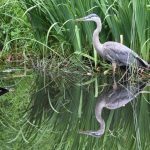 Only in the more recent decades have we realized the importance of the natural beauty and ecological balance of keeping the swamp preserved, and since then Florida has started to protect its land. Airboat tours can be fun although they are very educational and interesting.